Last week I introduced the listed plant and tool hire companies and mentioned in passing the industry has a bit of a boom bust reputation. Perhaps I didn’t egg the pudding enough, though. Ashtead’s market capitalisation is nearly £10bn, more than ten times what it was nearly two decades ago. In one sense it’s an outstanding growth stock but, to have profited from it, shareholders had to endure an almost complete collapse in the share price. On 13 March 2003, Ashtead’s price opened at a low of 2.08p, valuing all the equity in the company at about £7.5m. Ashtead had borrowed heavily to double its size in the USA, and then it ran into a construction downturn. Profit was insufficient to pay the interest. But for the flexibility of its banks, Ashtead would have gone bust. Amid plunging share prices and revelations of dodgy accounting, I doubt many shareholders kept faith. I know one that didn’t, which is why this article starts with a small confession. I sold a small holding in Ashtead and missed out on the 91,630% share price rise since then. Inconsistent demand for equipment and the debt often used to purchase it puts the bust into the boom bust profile of the hire industry, as shareholders in HSS and Northbridge Industrial Services are finding out today. The Ashtead experience so scarred me I have only invested in one hire company since. 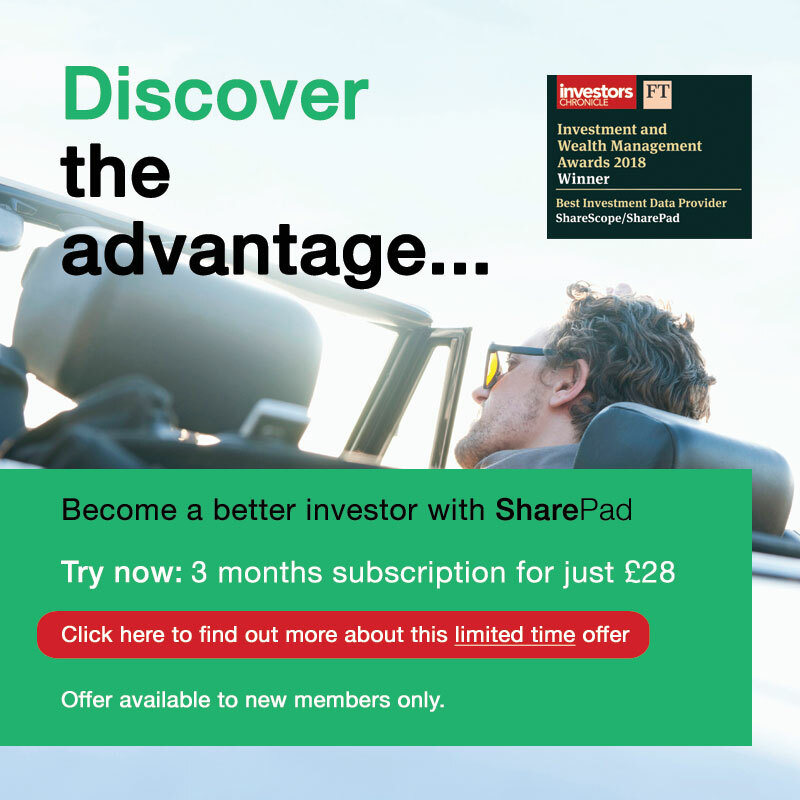 Its financial profile is somewhat different; in fact, in some ways, Vp has been the anti-Ashtead, as you will see from charts drawn with SharePad’s excellent financial charting facility. Profit margins can help us decide whether a company is likely to withstand a decline in demand during recession, say. Profit is the difference between revenue (aka sales) and costs. I’m using lease-adjusted Earnings Before Interest and Tax (EBIT) to measure profit because I’m comparing company performance and I don’t want how the companies are financed to distort the picture. We’ll look at financing in a moment. In the short-term, revenue can decrease faster than a firm can cut costs, which means profit will fall. The smaller the margin, the easier it is for profit to turn into loss and threaten the viability of the firm. Consistent profit margins over time may indicate a firm is more stable, it has more consistent revenues, more flexible costs, or both. And the award for height goes to? Ashtead (AHT)! You’ll have to look very closely at the chart to see its profitability because it’s coloured in a very pale green. Currently it’s achieving outstanding profit margins of 30% plus. The award for stability goes to Vp and its 15% profit margins in purple are high enough to be interesting. Andrews Sykes (ASY) and Aggreko (AGK) get honourable mentions. High profit margins, but not so much in the way of stability. Northbridge (NBI), which is heavily dependent on the oil and gas industry, and HSS, are loss-making. Speedy (SDY) has a lacklustre and volatile past. Arena’s (ARE) currently no profit monster, and as it’s only just listed we know little about its past. Debt levels can also help us decide whether a company will survive a shock. It’s immediately apparent that hire companies depend on outside finance. I generally prefer not to invest in businesses that are more than 50% funded by debt or something that closely resembles debt but most hire firms operate at that level or higher. Arena and HSS have not distinguished themselves on their debuts. Northbridge, though, is doing what hire companies can do quite effectively when profit can no longer support debt. It’s selling off assets, businesses and equipment, to pay back some of the money it owes. It may be of interest to recovery specialists but I’m looking for stability. Once again the award for stability goes to Vp. It’s had the confidence to keep debt in the same range throughout the period. Many of the other companies have reduced their levels of debt, though, and we can hardly hold that against them. The award for lowest level of financial obligations by far is Andrews Sykes, which, ownership issues aside (its controlling shareholder wields absolute power with 90% of the shares), is probably a very low risk investment. During a crisis, debt and profit margins are critical to survival. Long-term, though, a company must earn a good return on the money it invests (Return on Capital Employed) to be a good investment. That said, the A’s – Aggreko, Ashtead, and Andrews Sykes – have all experienced declining return on capital, which will require further investigation. Once again Vp’s stability stands out. So what’s special about stable hire firms? Here are some observations from what I know of Vp but some will apply to other firms. Andrews Sykes, a specialist in air conditioning, for example. Vp is a group of specialist business. Specialists develop closer relationships with customers than their generalist competitors because they can provide a better tool for the job, and more services like installation, training and testing. They also have a good reputation. When business is booming, there’s work for everyone in the sector but when business is tight, maybe the specialists stay on site longer. This explains why Vp can earn good profits. Vp is not too dependent on a particular sector. The businesses supplying utilities, for example rail and water, follow regulatory cycles that differ from the construction cycle. Like Northbridge, Vp has an oil services business that is floundering but it’s one of many businesses. The ability of businesses in one sector to take up some of the slack when businesses in other sectors are struggling may explain why profitability is not even higher at times, and lower at others. This stability may also explain why Vp is comfortable with a relatively high level of financial obligations. Vp has a controlling shareholder, the founder and executive chairman Jeremy Pilkington. He does not have absolute power like Andrews Sykes’ Jacques Murray but he’s probably a stabilising influence on the business and its culture must reflect his decades of stewardship. This may explain how Vp has managed to maintain the delicate balance between investment, growth and profitability for so long. For shareholders who put the business first and ride out bumps in the share price, that may be enough to conclude that Vp. should be a stable long-term investment. Two caveats though: businesses, even stable ones, change. And however much you believe you can depend on a business, you really can’t trust a hire firm’s shareholders. Last week Vp announced that it had acquired Brandon Hire, itself a listed tool hire firm until 2006, using borrowed funds. I think it will take Vp’s financial obligations to a new high, perhaps to 90% of operating capital. Although Vp used the word ?specialist’ six times in its press release, Brandon Hire looks like a relatively undifferentiated firm and its EBIT margins are slightly lower than Vp’s. It has three specialist businesses within it, though: Lifting Hire, Pipe Hire and Toilet Hire (somebody’s got to do it). The first two complement existing Vp businesses. In 2010, when the financial crisis caught up with the construction industry and hire firms, Vp’s revenue fell 15% and pre-tax profit fell 25%. Pilkington justifiably declared the results excellent, noting that unlike rivals, Vp had not needed to write down the value of its assets, cut dividends, or reduce the value of shareholders’ holdings by raising money to prop up its finances. Nevertheless, the share price fell about 70% from peak to trough, much like it did at weaker firms. Since then the shares have recovered, and proven to be a good investment. But it shows that to buy and hold a hire firm, you must not only believe it’s special, but also that you will still believe it’s special even when it seems nobody else does. Otherwise you’re playing pass the bomb, and likely to be caught holding it.